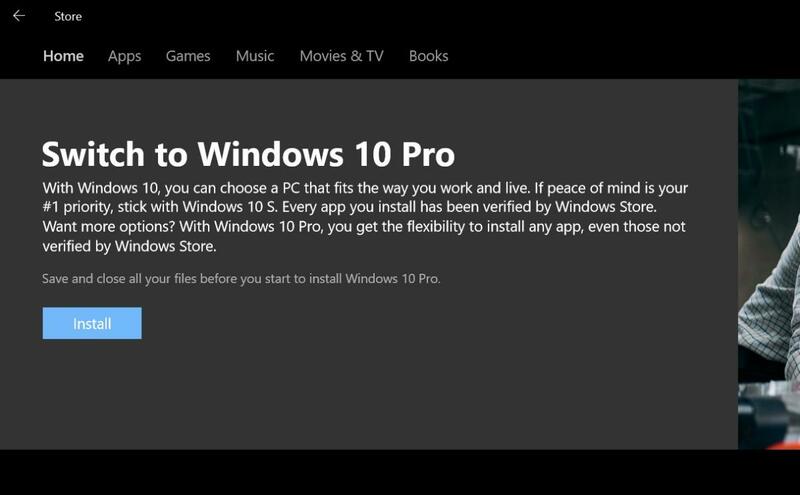 A leaked document from Thurrott.com suggests that many users who have started with Windows 10 S stay with Windows 10 S, and that’s good for Microsoft’s app business. Microsoft declined to comment directly on the report. "Windows 10 S provides a streamlined, secure and battery-efficient experience that we believe is a great choice for many customers," the company said in a statement. "We’ll share more about what’s next for Windows 10 S when we’re ready." While this pricing is invisible to end users, it surely affects the final cost of any Windows device. An open question, though is whether the different tiers will also include different feature sets in Windows 10. For that, we'll probably have to wait until April. What this means to you: The leaked document adds some intrigue to future versions of Windows. It’s one thing to buy a product like the Surface Laptop with Windows 10 S as part of the package. If Windows 10 S is what you get unless you take the trouble to switch, that could annoy or confuse users who are accustomed to the greater freedom of full-fledged Windows 10. On the other hand, it sounds like a great way to drive more people to the Microsoft app store. This story was updated at 12:11 PM with a comment from Microsoft.